Carpet cleaning can be tedious and time consuming and recarpeting is expensive and difficult job. So, why not clean them on a regular basis using thorough and fast carpet cleaning services from Magic Carpet Cleaning at low prices? Our cleaners are well experienced and ready to take every job. 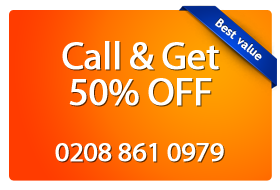 Call us now on 0208 861 0979 for more information and price estimate. Magic London Carpet Cleaning in Mayfair (W1K, W1J) offers a wide spectrum of carpet cleaning services including steam cleaning, dry cleaning and deep carpet cleaning. Our aim is to exceed our customers’ expectations by offering them high standard services with low prices. We incorporate eco-friendly and biodegradable equipments in our line of work to create a clean, healthy and safe environment for you. Our team of Magic London Carpet cleaners in Mayfair (W1K, W1J) have all been professionally trained and are friendly, courteous and full of energy. All spots and stains are individually treated to ensure they are completely removed and not just merged into your carpet. For any enquiries regarding our services, please contact our customer services team and they’ll be more than happy to advise you on the most suitable option. Call us on 0208 861 0979, we keep our phone line open 24/7 for your convenience.